As Domestic Violence Awareness Month is being observed throughout October, the Family Support Network (FSN) is urging victims to speak out and get the support that they need to escape abusive relationships. Recently, it was revealed that a large fraction of cases of violence in the territory is domestic violence related. However, according to Director and Counselor at FSN, Ms. Sasha Stoutt, the actual figures as it relates to victims can be far greater. In an interview with BVI Platinum News, she said that in many cases, persons don’t even recognise that they are being abused. ”We know it’s scary. For some people, it hasn’t even dawned on them. You know something isn’t right with your relationship, you know you aren’t happy, but you can’t put your finger on exactly what’s wrong,” she stated. For persons in this situation, Ms. Stoutt is urging them to take the necessary steps to protect themselves. “We want them to know that they are not alone and sometimes what you need to do to know exactly what’s going on is write it down…chart what’s happening, journal what’s happening and sometimes when you reflect on those journals, you realise that this is really unhealthy. The bad is really outweighing the good. And for those people, Family Support Network is here. We’re offering support in any and every way we can,” she stressed. Located on Main Street, FSN offers a number of services to victims, including case management. She shared that they are also provided with counseling,. In extreme cases, FSN also offers temporary shelter. “We also offer emergency shelter. Unfortunately, the British Virgin Islands does not have a shelter, per say. That was something that was in the works a while back, but Irma and Maria occurred and things have gotten pushed back. 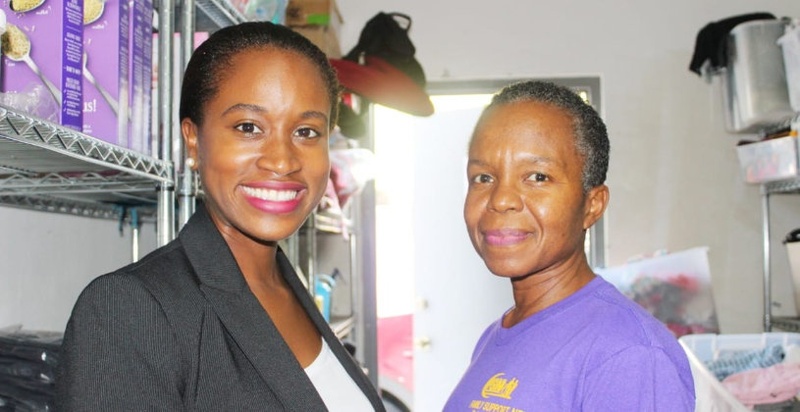 Hopefully, one day this will be something that’s offered in the BVI, but at this point we only offer emergency shelter…We can give them up to five days, and after that they have to either find a family member or friend,” she divulged. Administrative Manager of FSN, Wendy Burnett-Charles revealed that up to August this year, the Network has taken on 300 new clients. Of this number, 33 were given counseling sessions, 19 were assisted with case management, and 17 with protection orders. They also provided a number of persons with referrals to other organisations and bodies to provide further assistance.